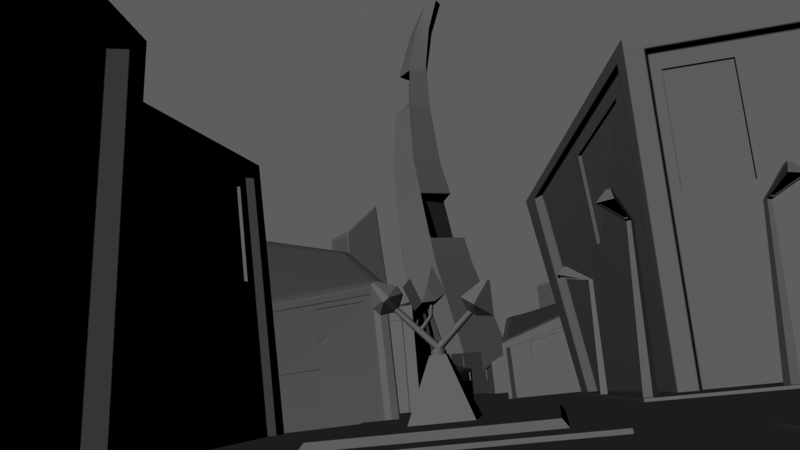 David Green - University Animation Student Blog: What if metropolis progress update. First i started with basic blocking out of buildings, getting the shape right and placing down where the town swuare will be. After that I modelled the statue, repositioned the background building and positioned a camera for the rendering. 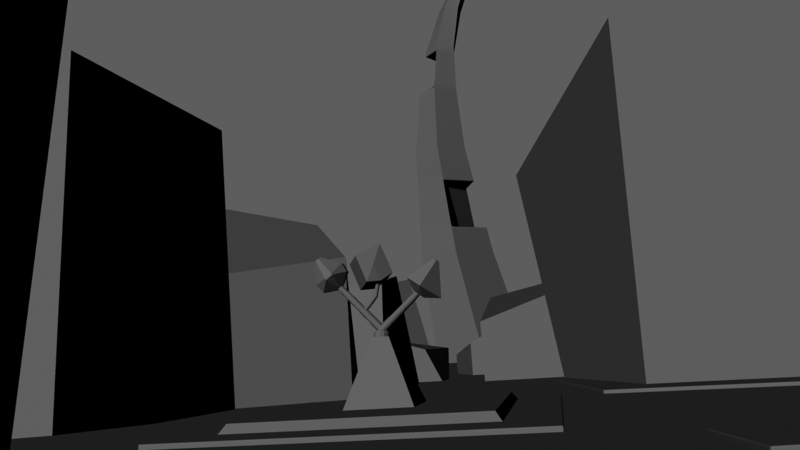 From there I started adding details including street lamps, windows and low poly buildings in the background, I also took out each window pane ready for when I need to place lights. I also made some adjustments to the camera positioning for something closer to how I want the final render to look.